Over the past 20 years, the GMO industry and commercial agriculture in Hawaii have exploded and so have the rates of birth defects in the state’s children. Research has linked many of these birth defects to the pesticides being used in large amounts on the genetically engineered crops that are quickly replacing the old plantations. If you worked on a farm or lived close to the fields where pesticides were sprayed while you were pregnant and your child was born with a birth defect such as a serious heart condition, abnormal limbs, spina bifida, or gastroschisis, then your child may be entitled to significant compensation. Galiher DeRobertis & Waxman is a leader in fighting for families injured by defective products and corporate negligence. Call us toll free at 1-866-998-6942 to see how our birth defect lawyers can fight for you. How Was I Exposed to Pesticides? When pesticides are sprayed over crops, the pesticides can become airborne and blown by the wind away from the intended agricultural field. This is called pesticide drift. The pesticide drift can be carried downwind into nearby neighborhoods contaminating homes and exposing residents to toxic chemicals. Other exposures are a result of contaminated dirt. Some agricultural fields are often sprayed with pesticides, even when they lay fallow. This is especially true of the genetically modified organism (GMO) agricultural fields throughout Hawaii where GMO seeds are produced and where genetically engineered corn, soy bean, and other GMO crops are grown. When the wind blows, it kicks up the loose top soil and lingering pesticide residue from these fields. This toxic dirt is blown into the communities that border the agricultural fields, again contaminating homes and further exposing the families that live there. How Did Pesticides Cause My Childs Birth Defects? Pesticides can cause birth defects in children whose parents were exposed through airborne pesticide drift, groundwater contamination or farm work. The toxins in pesticides can be inhaled, ingested, or absorbed through the mother’s (or father’s) skin and may then damage the parents’ chromosomes. If a child is conceived before or soon after a mother’s or father ‘s pesticide exposure, the unborn child may inherit abnormal DNA and suffer from a serious heart condition or other birth defects once born. Because the GMO crops growing throughout Hawaii, especially on Kauai and Maui, are designed to withstand large amounts of pesticides, they are heavily sprayed. 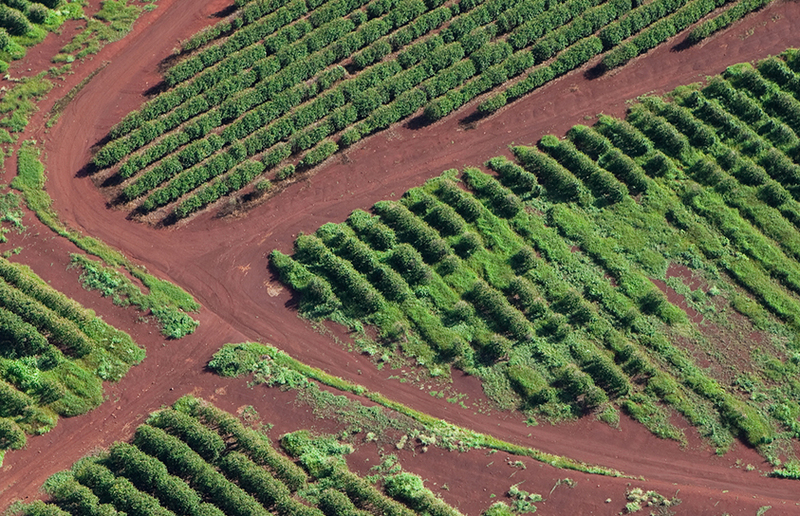 Hawaii’s long growing season also allows for more crops to be grown year round than anywhere else on the mainland. The two factors combined result in more pesticides used more often, which increases the likelihood of pesticide exposure and risk of birth defects. It’s not just the pesticides used on Hawaii’s GMO crops and fields that can be harmful to area residents. Hawaii Department of Health studies have found numerous harmful pesticides in the areas where plantations used to operate. The Hawaiian Islands’ fertile environment has made it ripe for a variety of commercial agriculture and produce, as well as commercially manicured properties, such as golf courses and resorts. These industries have a long history of heavy pesticide use. Over the years, growers have cultivated a number of crops including coffee, macadamia nut, papaya, pineapple, sugarcane, and other produce. The state is best known for its sugarcane and pineapple plantations. In the quest to produce the most perfect fruits free of unwanted vegetation and pests, growers have used a wide range of pesticides with varying toxicities and volatility over time. Some of these pesticides, such as persistent organic pollutants (POPs), can remain in the soil and water continuing to pose a threat for years. The highest concentrations of pesticide contamination are often found at the location of pesticide mixing sites, even at defunct or former plantations. When the contaminated dirt is not managed properly it can be blow downwind or the residual pesticides may leach into the drinking water exposing the community to the toxins. Many of the pesticides used at former agricultural facilities and sites have been linked to birth defects and other reproductive disorders and illnesses. While we are not doctors, our lawyers work with highly-qualified scientific and medical professionals to determine if a reported birth defect is related to a parent’s exposure to pesticides. Our lawyers are experts in successfully representing families injured by defective products and corporate negligence. We provide free initial consultations and will meet with you to evaluate your claim with no obligation on your part. If your child has pesticide-related birth defects, he or she may have a claim against the company responsible for that pesticide exposure. Please get in touch with us for a free case evaluation at 1-866-998-6942 and learn more about your legal options. Our team will begin working immediately and aggressively to obtain the best result for your case.